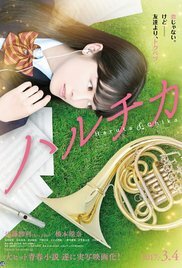 Haruta and Chika are members of their high school wind instrument club that is on the verge of being shutdown because there are only four members. The two are childhood friends that got split up, but reunited nine years later and they spend their days studying and also trying to recruit new members. When a mysterious event occurs within their school, they band together in order to solve the mystery. Read more on Wikipedia.